The new Kaboom playground in Vickery Meadow is the first at the Stratford Hills Apartments and it cost a whopping $100,000. Workers are putting the finishing touches on a new playground in Vickery Meadow, the Dallas neighborhood home to many new immigrant and refugee families. To children here, the playground holds more meaning. Padiri Ruhusa is 11 years old. His family moved from the Congo to Vickery Meadow before he was born, and they now live in the Stratford Hills apartments. When Padiri first heard they’d be getting their first-ever playground, he could hardly believe it. For years, kids like Padiri didn’t have much in this neighborhood. He said the terrain was mostly “grass, poop, dirt.” And that meant they couldn’t do much, either. They ran around, kicked around a soccer ball and played cops and robbers. “Mostly running stuff, cause all we had was dirt and grass,” Padiri said. The plot of land prior to the playground's construction. With this new playground, he and his friends will be able to spice up their games -- like freeze tag and hide and seek. Now, there’s a slide, monkey bars, a trampoline apparatus and everything a kid could ever want. Then again, Padiri and his friends aren’t your typical kids. “Some have faced tremendous stress and tremendous persecution. They were in a refugee camp having to fight for their food and fend for themselves,” said Lenita Dunlap, the executive director of Heart House, a Dallas nonprofit that supports refugee families in Vickery Meadow. This part of town is mostly apartments, just across Highway 75 from NorthPark Center. Much of the infrastructure here is old and dilapidated. Average household incomes generally range from $10,000 to $20,000, and most parents can’t speak English. When Ebola came to America last year, its first stop was Vickery Meadow. “It’s an area that really needs help. 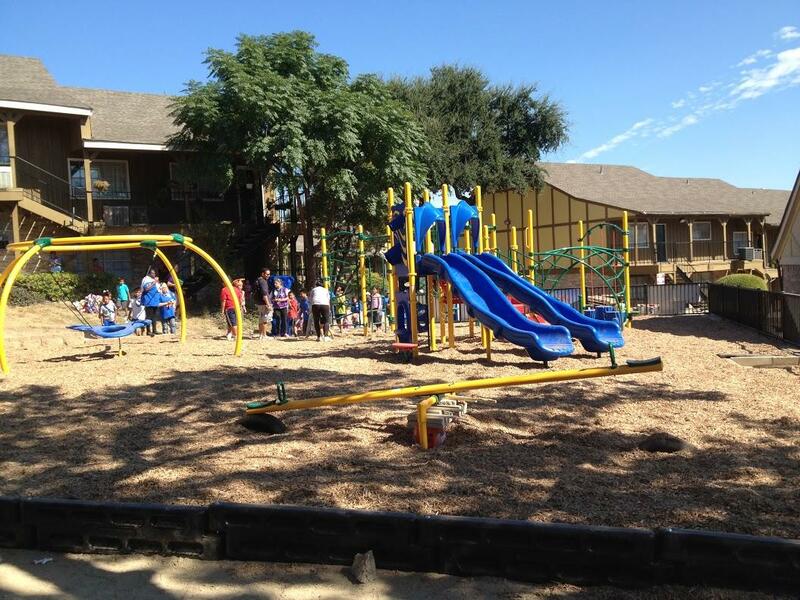 It’s where the community has a lot of need, particularly kids,” said Jack Towsley, the playground’s executive sponsor from BlueCross BlueShield of Texas. The health insurance company partnered with the national nonprofit Kaboom to build this $100,000 playground and 22 others across Texas -- from Francis Elementary in Northeast Houston to Woodard Park in East San Antonio and the Loya YMCA in El Paso. 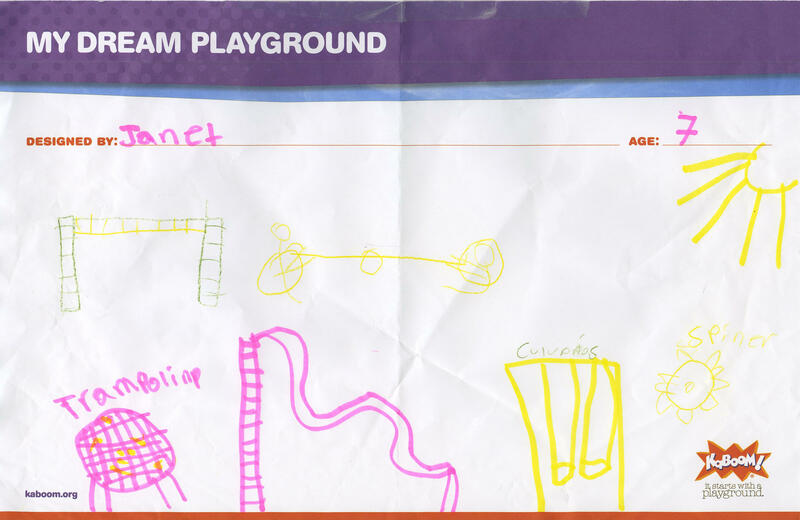 The new playground was designed by the kids for the kids. This drawing was the inspiration for the space. Heart House’s Lenita Dunlap says she’s touched by the interest in this neighborhood. No doubt, Padiri and the 400 or so kids in this complex are pumped up. They may not know it yet, but the playground is already teaching them how to make new friends, be creative and live healthier lives. Dallas faced an unprecedented public health scare in the fall of 2014 when a Liberian national was diagnosed with the Ebola virus. KERA is exploring lessons learned – and taking a deeper look at what happened last year – in a new series called Surviving Ebola. The special program will air this afternoon at 2 p.m. on KERA 90.1 FM. Every year, more than 600 refugee students are enrolled in Dallas schools. Many of them live in the Vickery Meadow neighborhood in Northeast Dallas. Monday morning, on the first day of class, some parents learned how to walk their kids to the bus stop and to school. 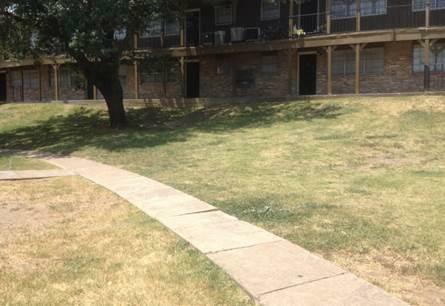 Ebola is the talk of Vickery Meadow in northeast Dallas. It's a refugee-rich neighborhood with a significant West African population – and it’s where a man was visiting before he became the first person in the United States diagnosed with the Ebola virus.